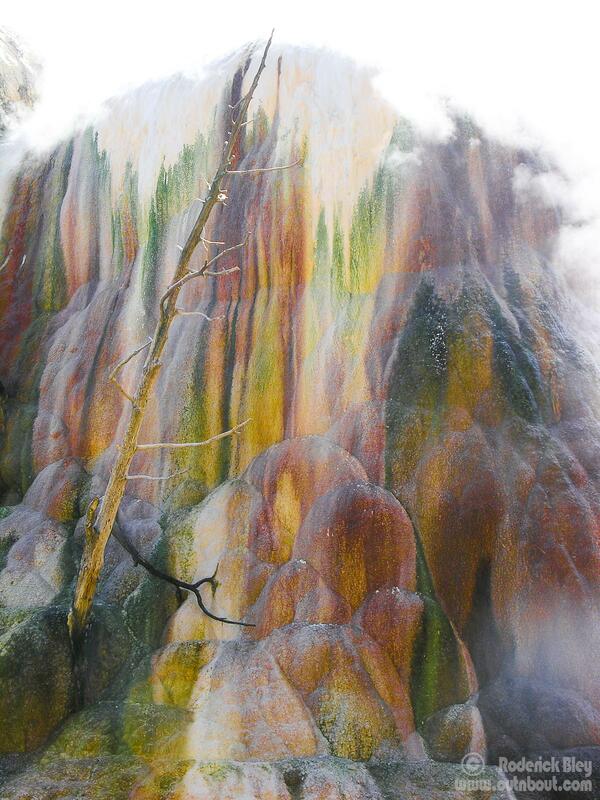 Creative Camera Technique creates a mosaic painting of Orange Spring Mound, Yellowstone National Park..Bacteria and algae create the streaks of color on Orange Spring Mound. It is noticeably different from many of the other terrace formations nearby. Its large mounded shape is the result of very slow water flow and mineral deposition.